The Upper North Shore of Sydney is a highly desired area to live, with Pymble being one of the most popular spots. Like much of Sydney, housing prices in recent years have become ridiculous and unaffordable for many, and those who can do so need to work full time and more to be able to keep up mortgage repayments or rent. Hopefully this isn’t you, but you more than likely live a very busy life. There’s so many things that you’d probably like to be doing in your spare time, there are plenty of local attractions, not to mention spending time with family and friends. Junk removal would be near the last thing on your wish list of things to do. Fortunately, Same-Day Rubbish Removal can take care of your old junk removal needs so that you can give attention to the more important things in life. 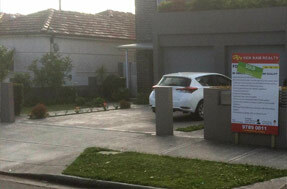 Call our friendly and experienced team on 0403 737 046 and we’ll help get rid of your waste ASAP. It doesn’t matter whether you’ve got a pile of junk from a home renovation or if it’s just a big old fridge that no longer works, anything that is too hard to fit in your curbside bin will be no worries for us. We’ve seen just about everything in our time, but the most common jobs include old beds and mattresses, couches, old furniture, and broken down white goods. We’ve fine-tuned our service to be able to offer the most affordable, easy and fast service in Pymble and across Sydney, so you can be sure you’ll get an amazing deal when you call us. Most people think that hiring a skip bin or hiring a trailer to take garbage to the local tip themselves would be a cheaper option than having people come and do the work for them, however, there are hidden costs for these methods and when your time and effort is factored in, these solutions are just not worth it. 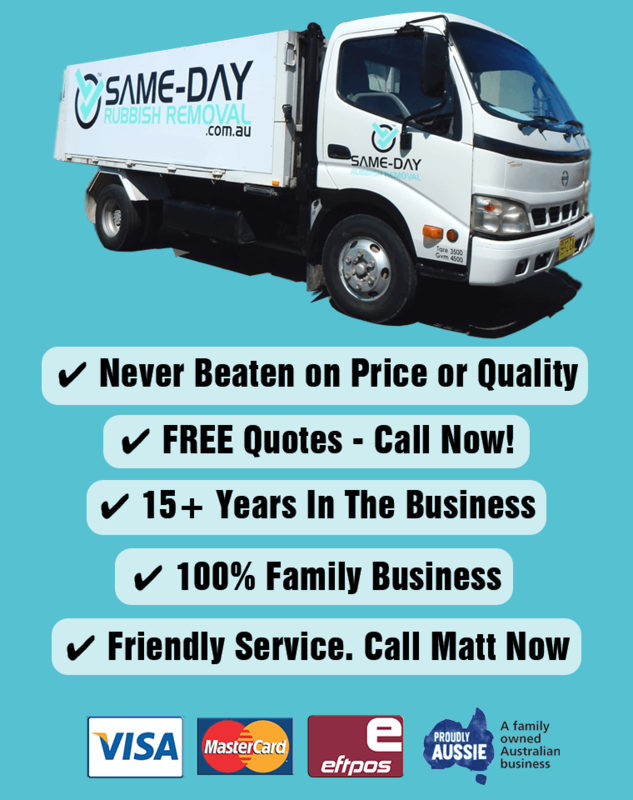 Whether you live in Pymble or a surrounding North Shore suburb, or even if you’re right out on the outskirts of Sydney in Campbelltown or Penrith, our great service can come to you. Another bonus in having our team collect your junk is that we do everything we can to dispose of your waste in the most ethical and environmentally way possible. The easy way for us to dispose of your waste would be to take it to the nearest tip and have it all end up in land fill, however, we try to make sure that your rubbish gets recycled. 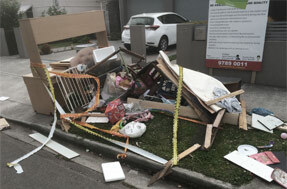 Most large items that require professional rubbish removal are able to be recycled in some way. We know all the recycling locations across Sydney and what items can go where. If you’re looking for the fastest, cheapest, easiest and most responsible junk removal service, you can stop looking! Give our team a call and ask any further questions or request a free quote. Call now on 0402 737 046, we can’t wait to hear from you.